Having a folding treadmill is very convenient if your home doesn’t have much space. 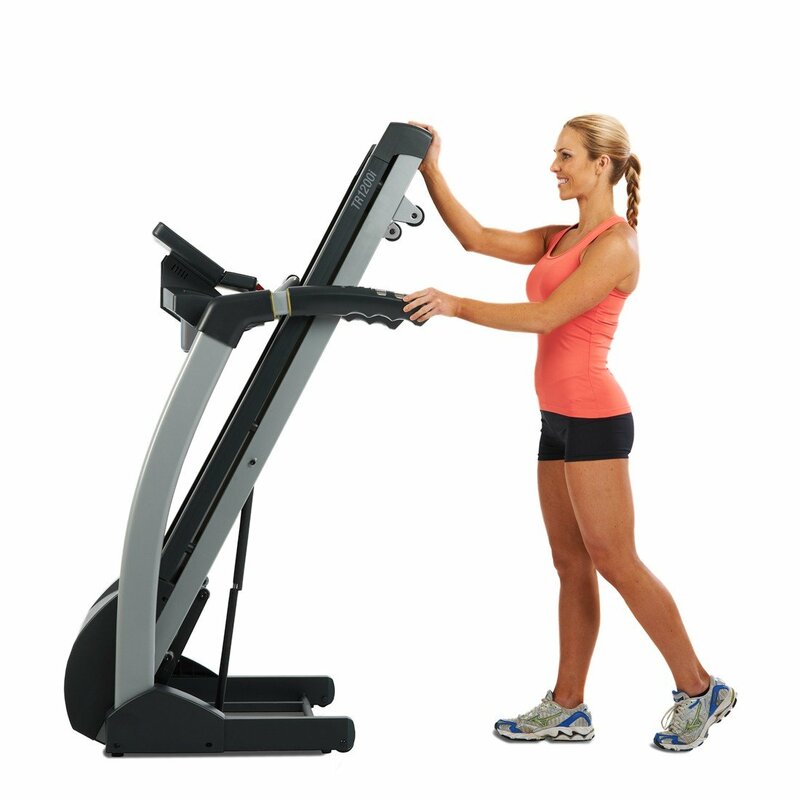 A folding treadmill allows you to stay in shape without going to the gym, without taking much space for storage. Below, we will take a look at two excellent models from LifeSpan, which are LifeSpan TR1200I vs TR3000I. Let’s see which one is better for you! The first thing that we are going to compare between these two models is the dimensions. This is an important thing to consider if you have a limited space in your home. Make sure that the folding treadmill can actually fit in your room. Otherwise, you may end up not using it at all. For an upright bike, take a look at: Nautilus U614 vs U616. Each of these two models comes with a similar belt size, which is 56 inches long x 20 inches wide. The overall size of LifeSpan TR1200I when fully unfolded is a little bit shorter than LifeSpan TR3000I. Even so, the difference is very marginal. LifeSpan TR1200I measures 70.25” x 33” x 55”, while LifeSpan TR3000I measures 70.5” x 33” x 55”. The difference between LifeSpan TR1200I vs TR3000I becomes much more apparent when they are folded. LifeSpan TR1200I measures 39” x 33” x 63” when folded; it is quite compact. It is also lighter at 197 lbs. But LifeSpan TR3000I measures 42” x 33” x 56” when folded, and is generally more compact although the weight is slightly higher at 225 lbs. If we take a look at the specifications of these two models provided by LifeSpan, we can easily see that LifeSpan TR1200I and LifeSpan TR3000I are designed for different kinds of user. LifeSpan TR1200I is said to be suitable for “jogging”, while LifeSpan TR3000I is recommended for “running”. The company elaborated further on why LifeSpan TR1200I is suitable for “jogging”. 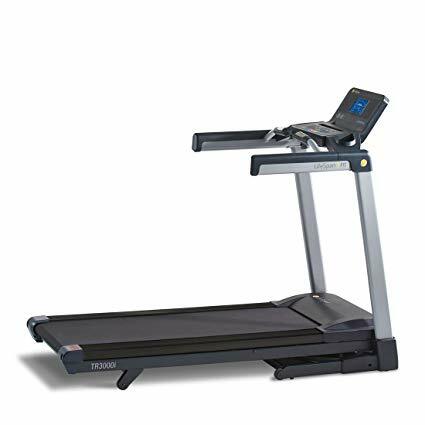 The company explained that LifeSpan TR1200I is powerful and durable enough for first-time treadmill owners and for people who only use the treadmill casually on the gym. This model is equipped with 6 compressions shocks to absorb the foot impacts, and is suitable for a user of up to 300 lbs. The recommended weekly use is 10 hours per week. You definitely may use it more frequently than that, but with the consequence that wear and tear will happen sooner than anticipated. LifeSpan TR3000I is recommended for the “running” activity level. The company explained that this model is slightly more powerful and more durable in order to serve fitness-minded enthusiasts and home owners. LifeSpan TR3000I is equipped with 8 compressions shocks and has a maximum user weight limit of 350 lbs. The recommended weekly use is 14 hours per week, so you can run for about two hours on a daily basis. The next significant difference between LifeSpan TR1200I vs TR3000I is the connectivity. Well, each of these two models has a USB port, which allows you to connect a USB flash drive to save your performance data so that you can upload it later to the fitness app of your choice. Both models automatically save your data every 20 seconds, so there is no need for manual operation. By default, neither of these two models comes with Bluetooth. However, LifeSpan TR1200I has no way to use Bluetooth at all. So, you can only use a USB flash drive to save your data, and you must sync it manually. It can’t work with a Bluetooth adapter. On the other hand, LifeSpan TR3000I can be more convenient because there is an optional Bluetooth adapter for this model. By installing the Bluetooth adapter, you can connect this treadmill wirelessly to your smartphone or tablet, and then use the ActiveTrac mobile app to track your progress.Even so, the mobile app isn’t particularly impressive. Besides, most users prefer not to spend extra money just for the Bluetooth capability. LifeSpan TR1200I has pretty good performance. It is powered by a 2.5-HP Continuous Duty DC motor. It has a good range of speed, from a minimum of 0.5 MPH to a maximum of 11 MPH. This is already good enough for most casual users. The unit comes with 15 incline levels to simulate climbing terrains. However, an experienced or dedicated runner probably needs a more challenging treadmill than this. LifeSpan TR3000I has decent performance. It is comparable to treadmills that are used in gyms. It is more powerful and durable. This model comes with a 2.75-HP Continuous Duty DC motor, which can provide a minimum speed of 0.5 MPH and a maximum speed of 12 MPH. The performance is smooth, consistent, and stable. LifeSpan TR3000I also has 15 incline levels. There are various pre-programmed workout programs in the unit, which are great, and you can create two custom workout programs based on your weight by combining twenty different speed and incline segments. Last but not least, before buying a product, don’t forget to check the warranty. Both models here are great because they each come with a lifetime warranty for the frame and motor. However, LifeSpan TR1200I only comes with this warranty; the other parts and components are not covered by the warranty. LifeSpan TR3000I, in addition to the lifetime warranty for the frame and motor, also has a separate warranty for the parts and labor. The parts are covered for 5 years. The labor is covered for 1 year. So, the build quality of this treadmill is generally more guaranteed. - Heavy duty and high capacity 2.5 HP motor with a large 20" x 56" walking belt surface, and 15 levels of adjustable incline. - Quiet and lightweight manual fold for space saving and storable purposes in your office or home. Console tracks time, calories, distance, speed, and more. - 21 trainer programs targeting weight loss, healthy living, sports training and heart rate programs with bluetooth connectivity. - Lifetime warranty on frame and motor. 300 pound user weight limit. 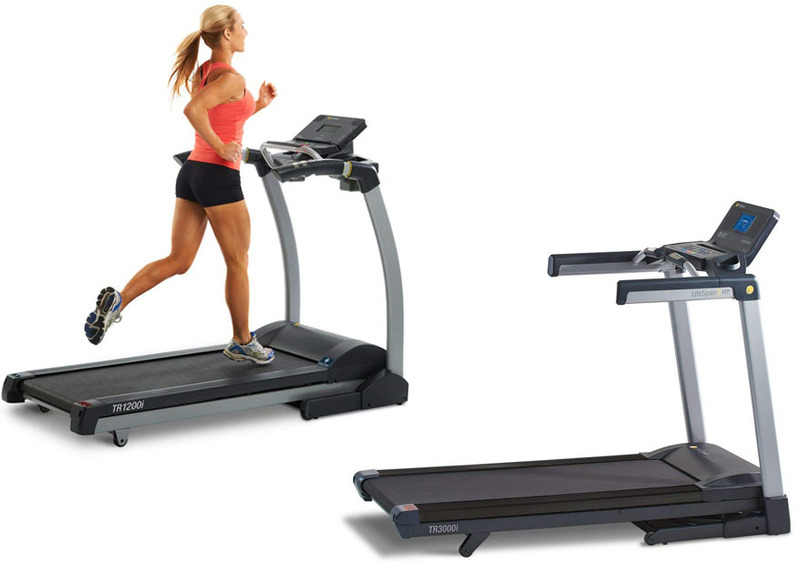 - The tr3000i electric treadmill by LifeSpan has foldable and portable capability that turns this motorized running machine into a small compact size. - Heavy duty and high capacity 2.75 HP motor with a large 20" x 56" walking belt surface, and 15 levels of adjustable incline. - Warranty includes lifetime on frame and motor; 5 years on equipment parts; 1 year on labor. You should choose LifeSpan TR3000I. This treadmill folds into a more compact form, and the build quality is better. It can work with an optional Bluetooth adapter. The performance is smooth and stable, and it can provide higher speeds. It comes with a better warranty coverage.